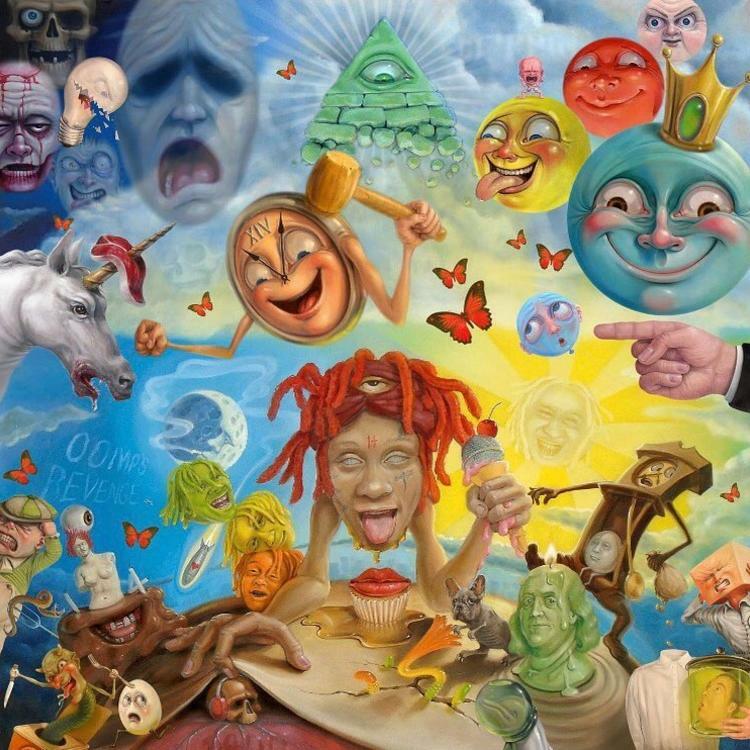 Steadily becoming one of the leaders rising to the top of the new class of alternative rock and pop punk-influenced emo rap artists, Trippie Redd’s debut studio album is a melancholy, raw project framed by Redd’s unique, strained and distressed vocal delivery. He references Lil Wayne’s music on the project, and he comes across here as the most obvious offspring of Wayne’s ill-conceived but undoubtedly influential 2010 rock album, Rebirth. Ultimately, Redd’s vocal delivery verges on painful to listen to, and his ridiculous lyricism and meandering, directionless moody emo-trap song structures greatly let down the novelty of the act that he is. 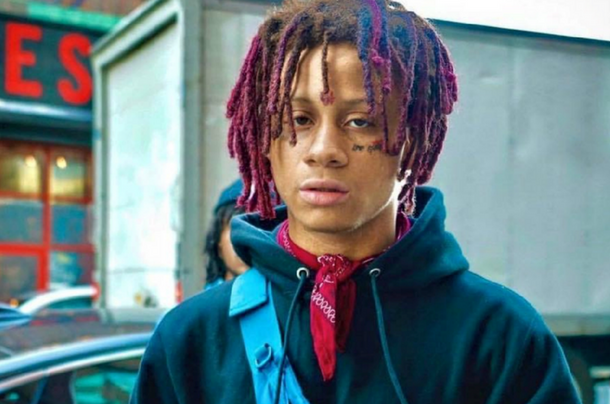 Trippie Redd is often lauded for his lack of Auto-Tune usage, unlike his contemporaries in the genre, simply presenting his raw, unfiltered vocals that supposedly better express the darker thoughts that pop up in the new landscape of hip-hop. This would be a perfectly appropriate comment if Redd’s vocals weren’t so hard to listen to – Redd seems to take this too far, straining his vocals and every so often extending a note too far with a garbled scream. Young Thug’s worst tendencies are right at home on this album, appearing on the track “Forever Ever”. The two each throw their voice around with reckless abandon, forgetting that a concrete musical rhythm and structure exists for a reason. 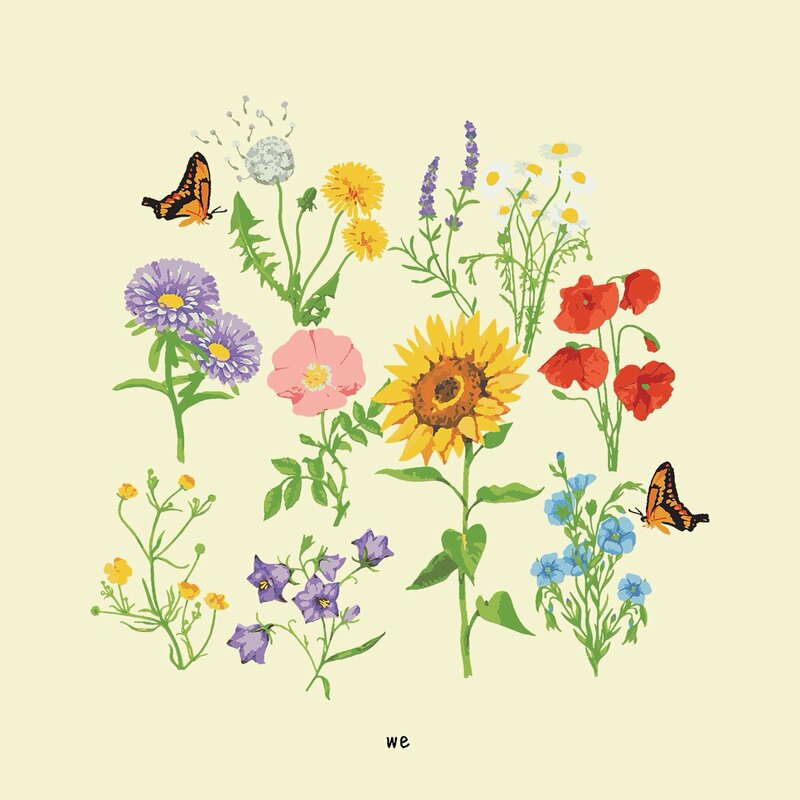 The songs on the project that extend past the usual 2 or so minutes that most Soundcloud rapper adhere to feel completely self-indulgent, Redd repeating the same refrains without a hint of a memorable, catchy melody as he runs up and down the scales completely off-key. It really does feel like all of these songs are freestyles at times, like he goes into the booth without an idea of what’s going to happen. The track “Bird Sh*t” sees him suddenly latching onto a single musical phrase in the middle of a verse and repeating it, seemingly just because it fit his liking in the moment regardless of how it worked with the rest of the song. Longer tracks “BANG!” and “How You Feel” are even more excruciating, Redd singing the entire chorus with his strained, yelling vocal on a song that extends to nearly 5 minutes on the former and sounding completely out of place on the guitar instrumental on the latter. It’s a few guitar chords that simply loop for 4 and a half minutes, accompanied by a higher-pitched wail in the background and Trippie repeating the title in his often pitchier higher register seemingly emulating a rock n roll frontman, occasionally breaking the cycle to offer a ridiculous lyrical simile or absurd melodramatic proclamation. Travis Scott-featuring single “Dark Knight Dummo” goes the other way, the beat a complete sensory overload that tries to do too much, and the only thing that could draw attention from the instrumental is of course the same strained vocal on top of all of the background mess. Redd does attract some great collaborators to this project, and at times you can see some good songs hiding underneath all of the mess coming from Redd himself – the legendary Scott Storch lends a catchy, poppier instrumental to the track “Taking A Walk”, which is over too quickly and is let down by Redd’s vocals, for example. 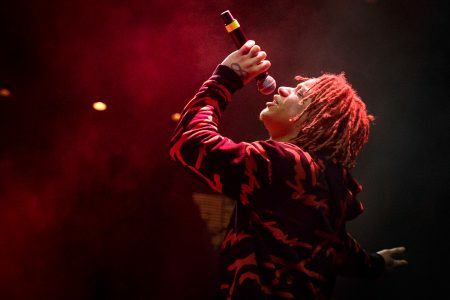 Sometimes, the good song is literally hiding underneath – Redd adds the Diplo collaboration “Wish” to the tracklist with a new “Trippie Mix”, after he expressed his disdain with the changes Diplo made to the song on his own project. Turns out, Diplo simply removed all of Redd’s terrible ideas and turned it into an enjoyable song. Redd reinserts a delayed echo affect that throws off the melody and some awful harmonized vocals completely out of sync with the rest of the song that left me shaking my head in disbelief at how passionately he felt about such incompetence. Redd’s rap tracks do fare slightly better, especially “Oomps Revenge”, where he clears up his voice and raps over a great chopped up soul sample – he kind of sounds like Chance the Rapper. “Missing My Idols” had potential, but his apparent thought process that an obnoxious vocal delivery means clearer expression of self reappears even here and he loses the rhythm a bit in the second half of the song extending his words too far and raising his voice. After pioneer XXXTENTACION’s death, I can only see this style continuing to grow and prosper – there’s evidently something about it that does succeed at drawing people in. Whatever it is, I personally have no idea how to relate to or understand it. Veteran pop-rock “band” Panic! at the Disco, down to its final member in multi-instrumentalist and vocalist Brendon Urie, releases its second studio album as a solo act which greatly improves on predecessor “Death of a Bachelor”. Fresh from a stint on Broadway, Urie elevates his usual flair for the dramatic here and delivers some impressively dynamic vocal lines. Most importantly though, Panic! pulls somewhat of a Paramore here and modernizes their sound, joining the current musical conversation without losing what made them unique in the first place. Their sixth studio album is potentially their poppiest, but roaring guitar underscores and Urie’s theatricality remains to ground these triumphant pop hooks in the darker, baroque atmosphere that’s always coloured their work. There are a few awkward moments of transition here and there, but Pray for the Wicked is one of their best. 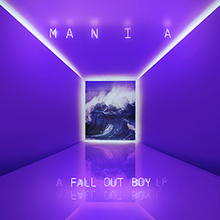 Urie immediately floors the gas pedal on his huge voice when the first anthemic chorus of opening track “(F**k A) Silver Lining” explodes in listeners’ earphones, and he doesn’t let go for the rest of the project. 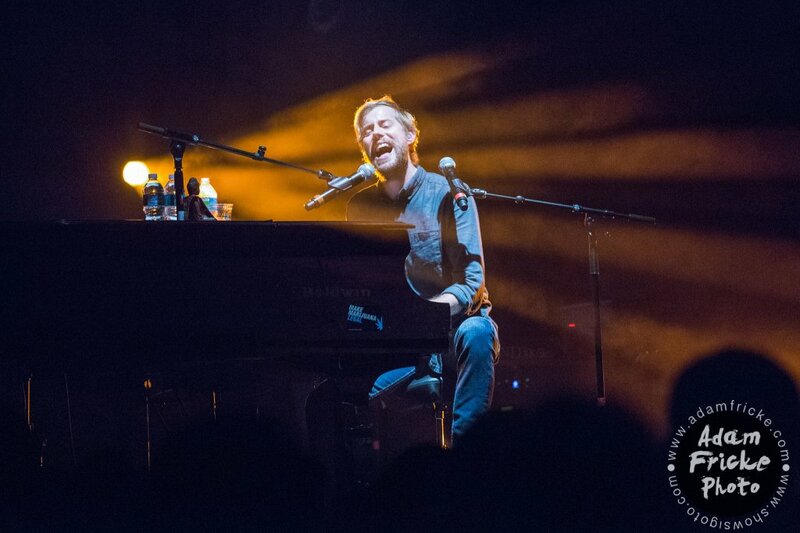 He’s a true rock-and-roll frontman delivering some of the most pop-oriented and melodic hooks of his career, and the result is unique and refreshing. The singles across the board are some of the strongest in their career, carried by a constant, driving energy and smartly written melodies. The fast-paced and frenetic “Silver Lining” sees Urie hitting some seriously impressive high notes over a blaring horn section and a sample from a 1950s R&B track before leading into “Say Amen (Saturday Night)”, which is quintessential Panic! material with a modern update. The guitars in the background are accompanied by a chopped-up vocal sample and clacking percussion verging on a hip-hop sound, providing the perfect backdrop of crackling energy for the chorus, delivered through layered vocals and a deafening guitar pattern that Urie somehow manages to overpower. “High Hopes” is another great single choice – I love the melody in the pre-chorus that builds up to the marching-band percussion and yet another immediately catchy chorus from Urie, which shows just how effective it is near the end of the track when the instrumental starts to strategically drop out. 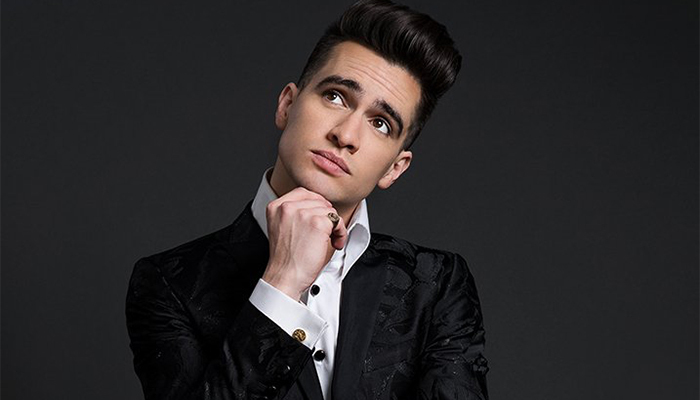 Urie sells all of this perfectly – his voice is built for Broadway – it’s one of the most capable male vocals in mainstream music right now. The very strong first half continues with “Roaring 20s”, which belongs in a legitimate rock musical (that half-time breakdown!) and “Dancing’s Not A Crime”, which wraps the listener in a very full sound with some warm, old-school funk pop chords. Quite a few of these tracks are great for similar reasons: an energetic horn section, music that cuts out at just the right time, a shouted anthemic chorus, but Urie sounds like he’s having so much fun, and it’s such a welcome change from the band, that it really doesn’t matter. 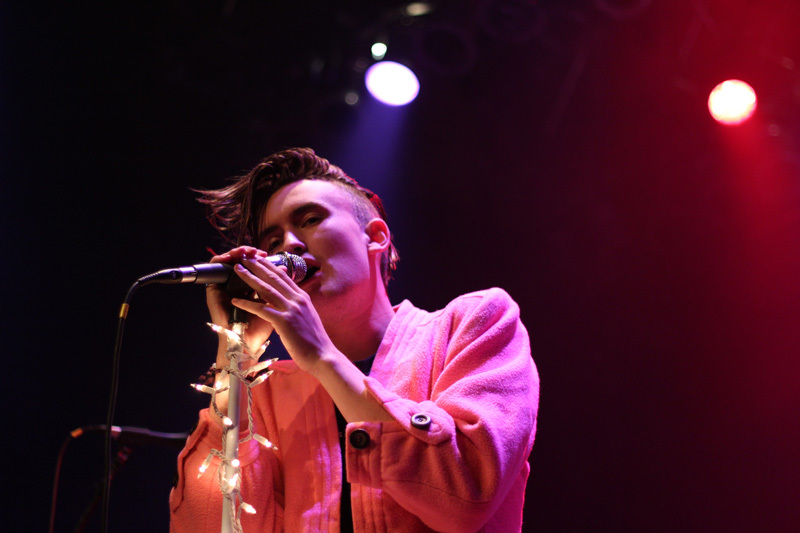 He nods to a personal shift in character on “Old Fashioned”, believing to have been stuck in the persona of the 17-year old who initially formed the band until this album. Panic!’s journey crossing over into the more culturally relevant styles of pop, hip-hop and EDM production doesn’t come without a few hitches, one of which is their team-up with electronic DJ Dillon Francis on “Hey Look Ma, I Made It”. Like most featured vocalists in modern EDM tracks, Francis buries Urie’s vocals in the mix a little bit more than usual, his chopped-up horn samples dominating the poppiest song on the whole project. Urie’s voice is not something that should ever be restrained. By the time a trap beat drops near the end of the project and the chanting group vocals are at their peak, it feels like we’re listening to an average Galantis track. The second half of the album is noticeably weaker than the frenetic opening 6-track run. On an album full of spectacular choruses, “One Of The Drunks” feels like it falls short, something about the sample in the back not quite clicking with the melody line. Urie’s lyrics can be periodically distracting as well, sometimes not maturing alongside the musical direction. “The Overpass” falls into clichés: we’ve heard about the “sketchy girls and lipstick boys, troubled love and high-speed noise” before. Panic! returns to familiar tropes that the audience who grew up on their pop-punk material will recognize a few times. 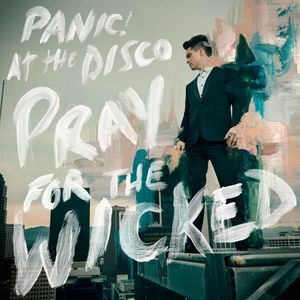 Pray for the Wicked is still a great return to form for a Brendon Urie who seems to be sitting comfortably on top of the world at the moment. His many successes continue with his most cohesive project yet, delivering 11 slick choruses that will be sung in arenas for years to come. I really gotta listen to this huh? Look at those sales! These 5SOS fans are ridiculously loyal. Anyway, pop-punk band 5 Seconds of Summer release their third studio album and first since the disbanding of OneDirection, a major component of their rise to prominence. Working more closely with major producers and writers in the realm of pure pop, as the band grows older they grow out of the cringeworthy edge that coloured their earlier work, making some more polished and modern pop music. Even so, most of these tracks feel like they’re missing the soul and energy, as if they went too far in the new direction of sanitization. A few of these tracks connect surprisingly well, but for the most part they stand just on the edge of being good, each falling victim to an overused trope or a melody line that doesn’t quite line up. 5SOS are less reliant on their unique status as a more abrasive punk band setting them apart from others here, making some pretty by-the-numbers pop music. Of course, some of the people they’re working with are absolute pros and manage to craft some pretty catchy tunes, but there isn’t much about the delivery of frontman Luke Hemmings to keep me wanting to return. 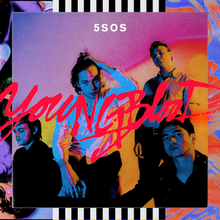 The opening title track “Youngblood” is a strange juxtaposition of energy, the chorus dropping down to a minimalistic rhythmic bassline while Hemmings’ distorted vocal screams the words. Fellow single “Want You Back”, written by superproducer Steve Mac (who recently stuck “Shape Of You” in our heads permanently), fares slightly better, integrating the louder lead guitars of the band into the bouncy pop mix well with a decent falsetto chorus melody, but as the tracks go on, the repetition makes you realize that initial head nod wasn’t deserved – there are other people doing this kind of thing in a much more lasting and engaging way. This is the issue with most of these tracks – they open in a promising way, and the logistics of the track slowly diminish its value to the end. A track like “Valentine” throws away its promising doo-wop intro immediately and becomes something completely different, the darker vocal tones not meshing with the bright synths and modern percussion. “Lie To Me” is a legitimately great track that shows that there is some potential here – this is classic boy band material, using the other members to create some genuinely stunning harmonies, the chorus melody line sounding like the kind of simple yet heartbreakingly expressive pop melodies of the 90s. The band’s two-track team-up with Weezer frontman Rivers Cuomo and their frequent producer Jacob Sinclair on “Why Won’t You Love Me” and “Woke Up In Japan” yields some pretty fun results as well, Cuomo embracing the inherently cheesy nature of the band in the perfect way that only he could on the former, contributing some hilarious self-deprecating lyrics about rejection in a soaring chorus. The songs already start to feel obnoxiously derivative of each other around “Better Man”, track 8, which lifts the same syncopated rhythm in the main riff from most of the trop-pop hit songs that dominated the radio waves in 2017 – most of the album’s ending few tracks feel like diet versions of Ed Sheeran songs, not written as expressively as Sheeran can. The previous track “If Walls Could Talk” can’t be saved by Julia Michaels’ songwriting, falling into yet another build-up into a distorted singalong chorus as they attempt to display some kind of unique identity that can’t coordinate itself with the new sheen placed on the surrounding production. The most awkward tonal collision might come on “More”, however, a driving, buzzy and almost EDM synth line dominating most of the space of the track before a drop, also structured like an EDM song, stumbles clumsily into the most directly rock n’ roll guitars at the forefront of the mix. Youngblood certainly sees the band grow up and better attempt to integrate themselves into the current musical landscape and conversation, but end up playing it far too safe, failing to place a distinctive mark on most of these songs. Quite a few of them could easily have been recorded by anyone else. The lyrics and Hemmings’ delivery frequently sell these mostly well-structured pop melodies just short.